We are told of the great advances that have been made in ‘modern’ agriculture in the last 60 years. Yet there are more hungry and malnourished people on our planet today than in the whole history of humanity. The solution, according to many, is to push ever harder to increase and intensify food production using any means at our disposal –more agrochemical inputs, GM crops, and even converting more rainforest to farmland. And while agricultural policies are directed towards cash crops, the income that this generates for rural people rarely covers their food needs. The world produces more than enough calories to feed everyone, and other important issues are at stake. Social inequity, inequality, inefficiency, waste, environmental degradation and biased global economic policies are but a few. Moreover, feeding the world is not just about ensuring that there are enough calories; the quality and variety of food are equally important. It is time to start looking at food and nutrition from a different perspective: the focus should shift from food security to food sovereignty and nutrition security. The roots of agriculture lie in the need to feed one’s family. But at a global scale, family farmers are being marginalised, although they produce most of the world’s food. Why? Is it because most of the food they produce is consumed directly or only passes through short value chains that do not enrich large corporations? Large-scale production increases, while more people go hungry than ever before, especially in rural areas. At the same time more people are also becoming obese than ever before, and let us not forget the ‘hidden hunger’ resulting from diets deficient in micronutrients, such as vitamin A or iron. 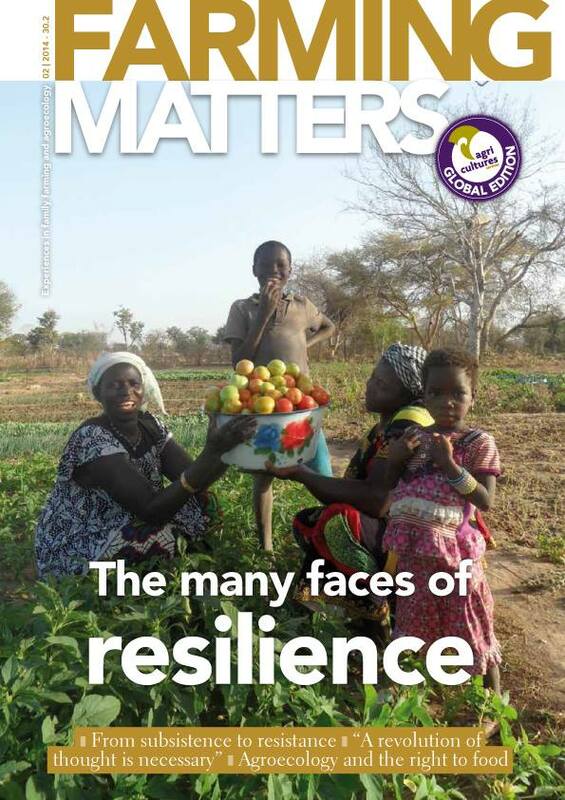 The last issue of Farming Matters for 2014 will focus on how family farming and agroecology support the nutrition of family members and the wider community. How and why does it achieve this? What concrete examples do we have that show the links? Have you come across families or villages that succeed in having a healthy diet whereas others in similar circumstances do not? We also want to look at nutritional challenges. Do farming families face (hidden) hunger or malnutrition? Is this problem declining or increasing? What are the deeper causes and how can they be addressed? What are your observations about changing food patterns due to changing lifestyles, and the nutritional consequences? Lastly, we are interested in your stories about efforts to (re)create food cultures, to (re) build respect for local food as an intrinsic part of an agroecological lifestyle, and to (re)create more direct linkages between food producers and consumers. We look forward to receiving your articles on the topic of nutrition. Most are 500-1500 words long and include a personal story. For more information, see the ‘guide to authors’. Articles for the December 2014 issue of Farming Matters should be sent to the editors before 1 September 2014.